Classic Bold and Creative Designer Black Diamond/Smokey Topaz Swarovski Crystals. To be worn by a queen. Easy to wear anytime of the day. Al Silver Handcrafted Metals. 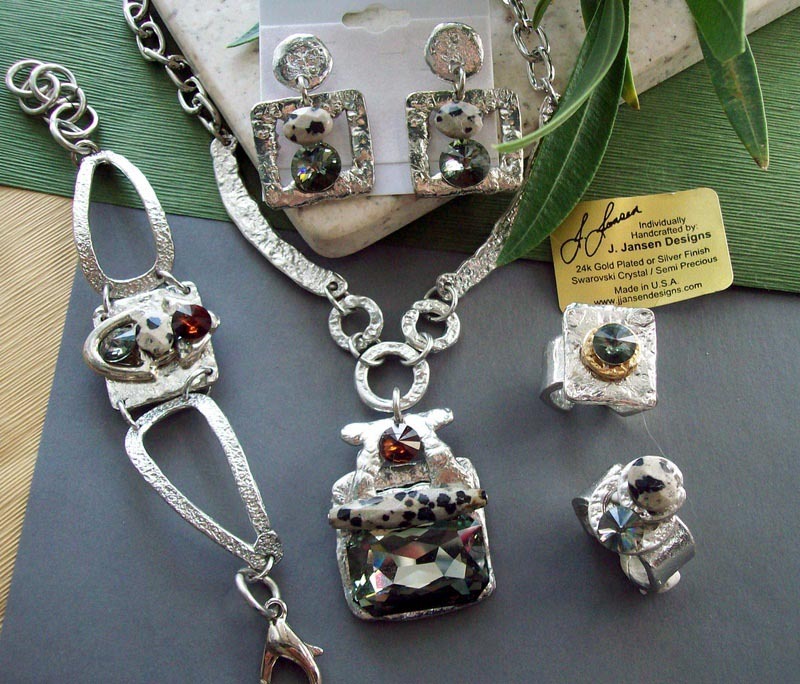 Tags: Black, Dalmatian, Diamond, Jasper, Semi-Precious, Silver, Smokey Topaz, Swarovski Crystals.